Hereunder please find two (2) different tours to chose from. 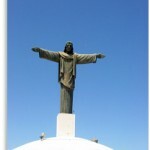 The tours are run by Iguana Mama the oldest Eco Adventure tour company of the region. Prices are quoted for Laser sailors, and their family or friends, and have to be booked by us. Check out one of the newest national parks in the country. An incredible 77 square kilometers of jungle, lagoon, caves, forest and open backcountry to explore. Can there be a better way to learn the Spanish names of various plants, trees and fruits than through smelling, touching, climbing and tasting the real and natural thing? One of the 4 protected scientific reserves in the country, Mount Isabel de Torres is also home to the highest manicured gardens in the Caribbean, in addition to 5 indigenous birds. Hiking through rainforest, this tropical expedition starts at sea level and finishes at 2,700ft. 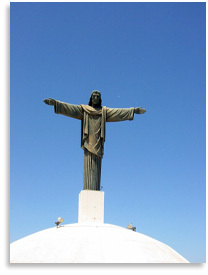 at the top enjoy breathtaking views of the old Puerto Plata bay. Lunch included. Tour Price (Child) Not suitable for this age group.